Do you remember our ‘Secret Squirrel’ blog which we posted in early in May regarding the fashion photo shoot which took place at the house in the Spring? 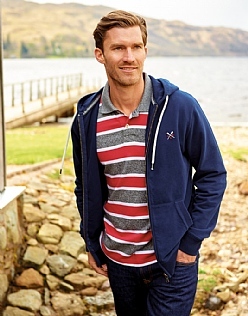 Well it’s time to reveal who it was……………drum roll………..It was Crew Clothing!!!! Here are a few shots from their recent web site launch. For more details see www.CrewClothing.co.uk. You would be welcome back any time! Previous Post: Who’s Been Filming At Our House? Next Post: Islay And Back In A Day! Play Time at Achnasmeorach House!! Copyright © 2019 Achnasmeorach House. Powered by WordPress and Stargazer.